That was the catch phrase used by the Department of Foreign Affairs (DFA) when I found the calling to join the public sector more than a decade ago. See the world, some of it I did, but I must admit there is a lot more that needs exploring. More importantly, however, I lived it. Long enough to see the changing context in the distribution of power, the various international actors and the growth of non-governmental organizations (NGOs) and civil society. Worldwide, the overlap between domestic and foreign policies have now become more blurred and the growing scrutiny, not just expectations, of diplomats from the governments that employ them, the publics they serve, and the media that reads their every action or inaction, among others, is changing the conduct of diplomacy. I have seen some changes in the nature of the issues diplomats have to grapple with. I used to say we eat bad news for breakfast, now we tweet for breakfast. I have witnessed how technology is shaping the conduct of diplomacy internationally – and how technology is becoming a familiar area where new headaches are coming from. I have had my fair share of traditional diplomacy. The first negotiation I was part of was an Air Services Agreement. I have written counts of Note Verbales and service messages, had audiences with the Sheikhs, shared kampai with a few members of the Japanese Diet, saw President Trump from a distance, shared a selfie with Lavrov, follow through agreements on agriculture, tourism, security, defense exchanges among others, but nothing prepared me the day Facebook threatened to close our Post’s Facebook page because I was using it the way it was not intended for. One of the pillars of Philippine Foreign Policy is the protection of our nationals. Through the years, this pillar has become front and center of our foreign policy. With some 10 million nationals living abroad, it is not uncommon to hear of issues concerning our nationals wherever one is posted. In such an environment, everyone felt they were free to express themselves. We were receiving hundreds of messages a day, hundreds more demanding actions on the earlier messages, and another hundred threatening to bring our inaction to the attention of the media or the Home Office. The page was tasking and required dedicated personnel, not to mention patience to address the concerns. This requirement was stretching the limited resources of the Post. The most sensible thing to do, as Facebook warned, was close the page. Instead, we rose to the challenge. We analyzed the nature of questions, grouped what were related, formulated general and specific responses, devised infographics, found new ways of breaking issues to chewable bits, and came up with better ways of engaging. We made use of initial automatic responses, conducted orientation for personnel to learn of the various issues not just those within the confines of their zones, and shared, by rotation, the collective responsibility. And it worked. The more we engaged, the more we found room for engagements. Our constituents were no longer asking, they were also sharing the information – doubling the speed and breadth of the information’s reach. So much that constituents of other Posts were making use of our page for their own requirements. We have, in a way, unintentionally, set the bar higher for other posts to adhere to. Some days we get a like from another embassy, other says a mention or a tag from another Ministry. Like a normal person, we also liked and tagged back. We are no longer communicating with our constituents. We are engaging with other state actors, we are making reassurances, like a virtual high five or a thumbs up. 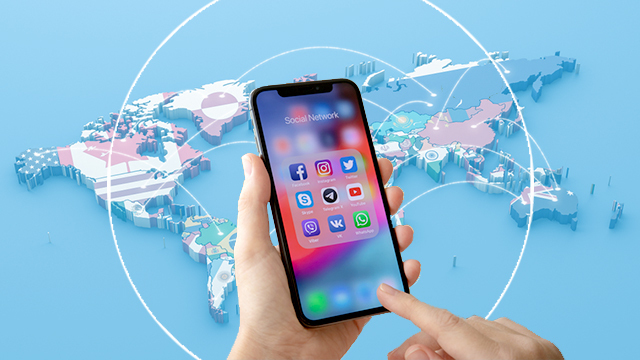 The social media becomes not just a listening tool but an avenue where common interests are highlighted, “shared” in social media sense, and diplomatic relationships reinforced. But what of the tweeter-happy fingers? Real-time engagement had its own risks. Anything shared could easily trend or go viral. By the time the mistake is discovered, the damage may have been massive. Much like the reality stars and social media influencers, diplomats now have their own followers, likers, and a good share of bashers, too. The social media has the power to create a star out of a savvy diplomat yet, like Midas’ touch, he may fall victim of his own success – a career death blow by an unwitting push, or a very gentle touch of a button. Social media, like beams of light, has illuminated the world diplomats inhabit. The world has gotten used to the idea that diplomats are not just creatures confined to social gatherings and dinner parties. Social media made some singers, dancers (Ambassador Kennedy does ‘Koi Dance), counselors, poets, cooks (Ambassador Pruce cooks bibingka), a household help (Ambassador Fletcher swaps with Ethiopian household help) among others in order to build that bridge of understanding. I have witnessed firsthand how social media could be a positive force in advancing our national interests. I am certain it can do more to bring out what is true, good and beautiful in the Filipino.